Joseph Fernand Henri Léger (Died: August 17, 1955 -) was a French painter, sculptor, and filmmaker. 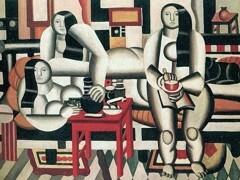 In his early works he created a personal form of cubism which he gradually modified into a more figurative, populist style. 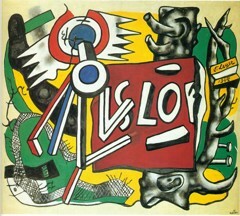 His boldly simplified treatment of modern subject matter has caused him to be regarded as a forerunner of pop art.